Today, Netflix releases Jerry Before Seinfeld, a special that combines new stand-up material with a look back at Jerry Seinfeld’s early days as a comic. The show promises a glimpse into the creative process behind Seinfeld’s success, but it’s hard to imagine it topping one of the great recent documentaries about comedy, writing, struggle and work ethic, which also just so happens to be about Seinfeld. 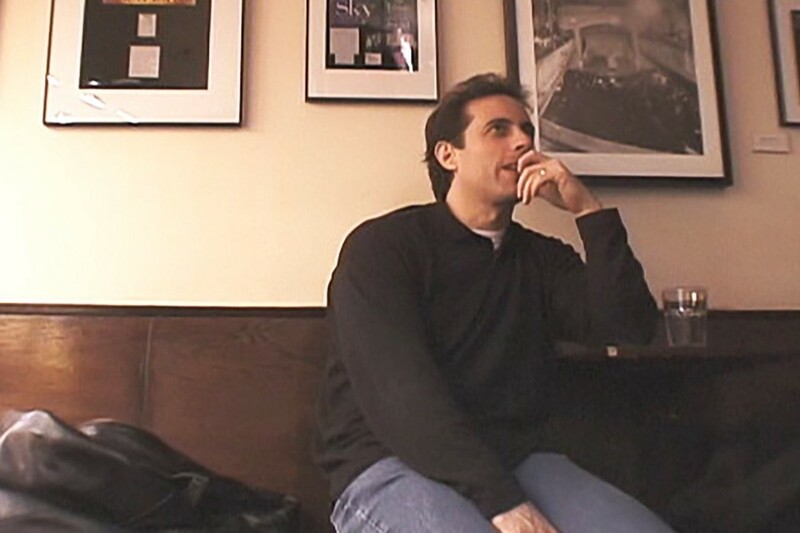 One of the major criticisms of Comedian at the time was that it wasn’t impressive that Seinfeld had returned to stand-up without relying on any classic jokes. After all, the theory went, he’s Jerry Seinfeld, the biggest comic in the world — it’s not like he’s some unknown who has no reserve of goodwill with the audiences he’d be encountering at the Comedy Cellar and Carolines. If anything, being beloved made Seinfeld’s job even tougher: Audiences assumed he’d be funny, so when he wasn’t, it was all the more humiliating. It’s easy to dismiss this behavior as the act of a narcissist — someone so driven by a need for attention that he can’t live away from the spotlight. But Seinfeld doesn’t come across that way in Comedian. Even when he’s struggling after having a bad set, he enjoys digging into what didn’t work and figuring out why. And that love becomes contagious. The film juxtaposes Seinfeld’s journey with that of Orny Adams, a rising comic whose arrogance hides an astounding array of insecurities. Adams turned 30 while Comedian was filmed, and he’d firmly established a career, getting booked on the Late Show With David Letterman and playing comedy festivals. But as another comic advises him in the documentary, it’s not his material that’s holding him back — it’s his attitude. Unwilling to listen to constructive criticism and constantly focusing on what he hasn’t achieved, Adams comes across as someone who’s so concerned with being famous that he derives very little joy from anything he does. And when Adams tells Seinfeld about his hang-ups — specifically, that all his friends are well-off and starting families, while he has nothing — Seinfeld responds with an old showbiz story that says everything about choosing a life that’s right for you, even if it isn’t for anybody else. Not everything about Comedian has aged well. The film culminates with Seinfeld meeting with one of his idols, Bill Cosby, who’s positioned as the wise old man on the mountaintop. Fifteen years ago, that would’ve been a completely understandable ending — every comic of Seinfeld’s era worshiped him — but now there’s a poignancy and discomfort in watching the brief, fawning exchange. Aside from Cosby, though, Comedian is both inspiring and thought-provoking. For a guy who became an icon for creating a show about nothing, the 81-minute movie seems to encompass everything. At the film’s conclusion, Seinfeld has a new set of jokes, but the real happy ending is what the comic has done since Comedian. He remains one of the most popular stand-up acts around, and his ongoing series Comedians in Cars Getting Coffee continues his clear interest in using comedy as a springboard for discussing philosophy, family, aging and relationships. Others would’ve rested on their laurels after Seinfeld, but Comedian argues that Seinfeld was after something beyond laurels. And so, his sustained success shouldn’t be a surprise. Or chalked up to luck. It’s the result of good ol’ fashioned hard work. But for him, it just feels like love.